Manufacturer/Plant: Monarch Neon Sign Co.
Condition/Comments: A very rare neon. Gorgeous red and blue lit presentation. The metal detail surrounding the P.O.N. resonates in its own right when illuminated, adding to the Art Deco appeal of the design that might otherwise get lost against a busy or dark background when unlit. 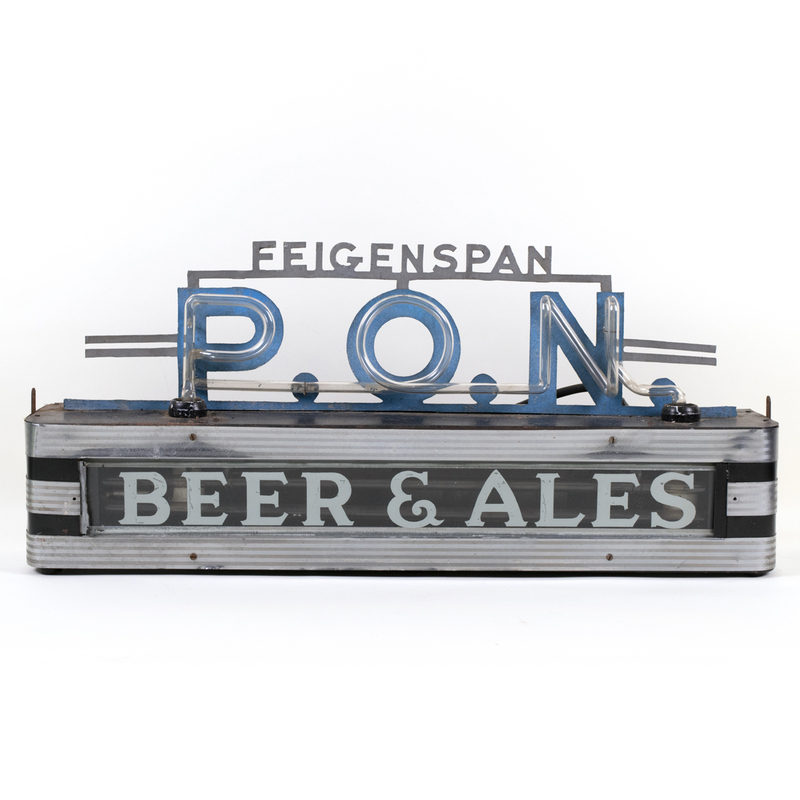 This sign was no doubt right at home on a 1930s train dining car or downtown diner, with its chrome-finished can and streamlined look. A classic representation of the era. It can be hung or placed on a flat surface. The steel transformer box and aluminum (or zinc?) lettering show obvious signs of age and oxidation, but are all original to the piece. The cord has been replaced at some point but should be done again. See the detailed photos for example of wear and cracking.